THE distraught family of the Belfast man shot dead by an off duty policeman in February still want to view the CCTV footage of his death. 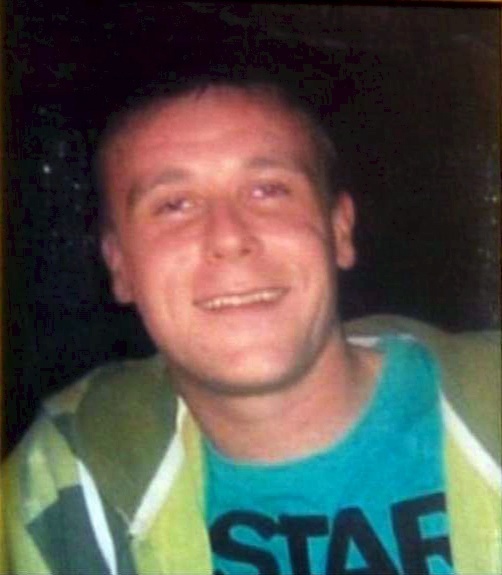 Marc ‘Ringo’ Ringland (29) was in the process of robbing a filling station shop with a knife when the off duty policeman shot him to death on February 3 this year. The police officer was told on Friday (April 15th) he will not face prosecution. The dead man’s father – Billy Ringland who accepted his son was doing wrong at the time of the shooting but questioned whether it was necessary to kill him – is still adamant that the family see the CCTV footage of the death of their son. “At the start the ombudsman’s investigators told us that Marc was not shot at close range,” he told The Detail. “But on Friday when we learned that the policeman was not to face prosecution, we were told that when Marc was shot he and the police officer were a metre apart. The family have another reason driving them to the distressing prospect of watching video footage of their loved one being shot dead inside the filling station on the Albertbridge Road. Media reports in the immediate aftermath of the shooting described how Marc Ringland had held a knife to someone’s throat during the robbery. This caused distress to the family who did not believe it was true. “The investigators from the ombudsman’s office told me and Marc’s mother Janet the day following the killing that Marc had not held the knife to anyone’s throat,” said Billy. Janet Ringland never recovered from her son’s death. She stopped eating and sat in a daze for three weeks afterwards. Then she suddenly died. The family believe she died of a broken heart and without the satisfaction of hearing the investigators say publicly that there was no knife to anyone’s throat. “She died of a broken heart,” said Mr Ringland. “And that’s why we must go through the distressing prospect of looking at the CCTV footage of Marc’s death. I told Mr Ringland about the ombudsman’s statement. But he said given the differing accounts of what happened in the shop, the family would still like to see for themselves what exactly happened. Even though it would be extremely distressing to watch his son die, I asked. The family solicitor Denis Moloney added that the knife to the throat allegation motivated the family to press for access to the video footage. He recalled the moment on Friday when he broke the news of the PPS decision not to prosecute. “At half past twelve on Friday,” he said, “we gathered in my office to open the letter from the PPS informing them of the decision not to prosecute the police officer. Mr Moloney said the family was “emotionally shaken” by the decision not to prosecute the police officer. He said they had requested a meeting with the PPS and that had been agreed. Only the time and date have to be confirmed. In addition to the request to see the CCTV footage, the family now have to prepare themselves for the inquest. Number of police officers disciplined for misconduct "too high"